Two new local barristers appointed to the ACT Magistrates Court. File photo. 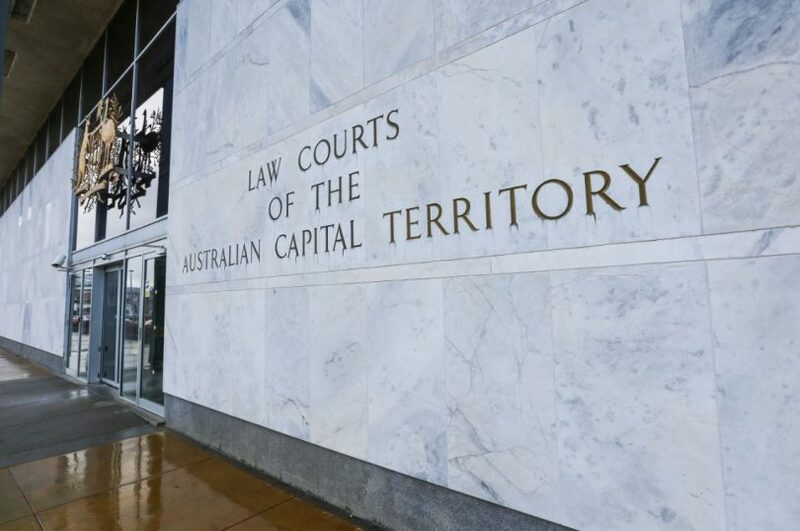 The ACT Government has appointed two local barristers to the ACT Magistrates Court, one of whom will be the first person formally appointed as a part-time Magistrate in the Territory. James Lawton will replace Magistrate Karen Fryar following her retirement after 25 years of service in the ACT Magistrates Court, while James Stewart will be the first appointed part-time Magistrate. The appointment of Mr Lawron and Mr Stewart, which has brought about a 50-50 split of both male and female representatives on the ACT Magistrates Court bench, was announced on Tuesday morning (9 April) by Attorney-General Gordon Ramsay. “I have full confidence that Mr Lawton will make a significant contribution to enhancing access to justice outcomes at the ACT Magistrates Court,” Mr Ramsay said. “Mr Lawton’s varied experiences ensures he has a genuine understanding of the challenges faced by those engaged in the judicial system. Mr Lawton has had significant practice in the ACT Magistrates Court, the NSW Local Court, the ACT Supreme Court and NSW District Court, with experience in both criminal and civil law, and has worked for the ACT Legal Aid Office Criminal Law Section before beginning a career as a prosecutor in 2000. He was a Senior Advocate at the ACT Office of the Director of Public Prosecutions prior to joining the ACT Bar and has been a member of the ACT Bar since 2012. Since being called to the bar in 2006, Mr Stewart has developed a successful criminal and civil practice in all levels of Australian state and Federal Courts. Mr Stewart commenced his practice in the ACT in 2013, whilst also lecturing for the Australian National University. He has been a member of the ACT Bar Association Bar Council for the past two years and chairs its Continuing Professional Development Committee. The ACT Bar Association welcomed the appointments, which president Steven Whybrow believes is a testament to the quality of legal practitioners in the ACT. “In terms of intellect, breadth of legal knowledge and life experience, temperament and work ethic, the Attorney has made an excellent choice in appointing Mr Lawton to fill the big shoes left by the retirement of Magistrate Fryar,” Mr Whybrow said. “Mr Lawton is a born and bred Canberran, and highly respected lawyer who will be a valuable addition to what is already a very strong Magistrates Court. “It is pleasing to see both these appointments come from the local Bar, demonstrating not only the quality of legal practitioners in the Territory but the Attorney’s faith in the local profession.